To provide an open forum of ideas, strategies, and problem solving between retail tobacconist and vendors to the trade. I don't know much about the TAA, as I have not really looked into the group because of its primary focus on retailers, however I do know that some of the manufacturers make a special cigar for each shop in the group and in the past some of them have been very well received. 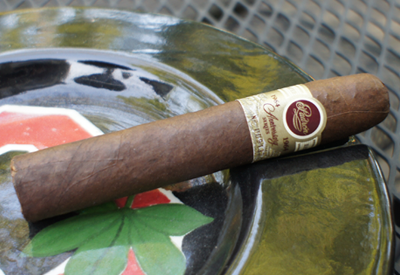 Let's get this cigar fired up and see what Jorge and the Padron crew have in store for me this time. On to the review. The first thing I noticed about this TAA edition (and the first thing anyone familiar with Padron cigars will notice) is this cigar was not box pressed. 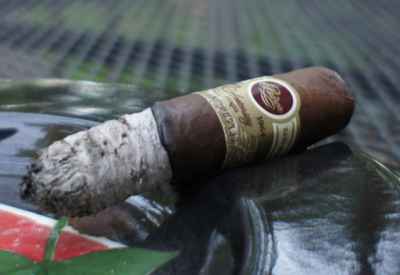 I'm sure there has to have been other Padron releases that were completely round, but I can't think of one off the top of my head that I have smoked. The wrapper was a perfectly consistent medium brown color with very minimal veins. The rolling of the wrapper on the cigar was impeccable and looked to have no seam at all. The pre-light aroma smelled sweet, with a mixture of earth and cocoa scents. The cap clipped with no problems and the cold draw had a heavy cedar flavor. I find this fascinating because I know this cigar has never been in a cedar box. The strong flavor was unmissable though. My TAA lit up easily and started producing a strong cocoa flavor from the first puff. Mixing in the front of the profile with the cocoa was a warm cinnamon spice that reminded me once again of the hot chocolate ice cream I have mentioned in previous reviews. The finish on the cigar was long and tasted like powered sugar. It was a strong finish flavor that lasted the entire time until my next draw. The burn on the cigar in the first third was a little crooked but easily corrected with my torch. I'd put the nicotine strength in the medium to lower full range. If the first third was not great enough, the second third took it up a level. The front of the profile lost a bit of the cinnamon heat but was replaced nicely with a bite of espresso. I am a big espresso fan so this suited me well. Not to be overshadowed on the front of the profile was that very rich cocoa flavor that continued from the first third. The finish flavor again was very powered sugar-like taste which added some nice balance to the espresso. The ash on the cigar although appearing very flaky, held on strong and I only ashed this cigar three times. The nicotine strength at by this point of the cigar had reached into the full range and I could start to feel some of the effects of it in my system. It was not a body presence but more of a head buzz. The final third, and especially down toward the nub, the spicy heat pick back up and mixed in nicely with the cocoa and espresso. A pretty big difference in this third, though, was the finish profile of the stick. The sweet powdered sugar flavor had completely dissipated and I was left now with a dominating leather taste. In my opinion it was not as nice a balance as the first two thirds, but it was still a very pleasing flavor. The burn was excellent during this part of the cigar, never having had to reach for my lighter. The smoke volume picked up even more in the final third which might have added to the fact that the nicotine strength was now waaaaaay into the full range. This was a very strong cigar in its closing stages, so be ready for it. 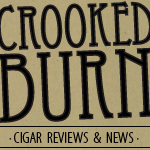 Final thoughts on the Padron 2012 TAA? 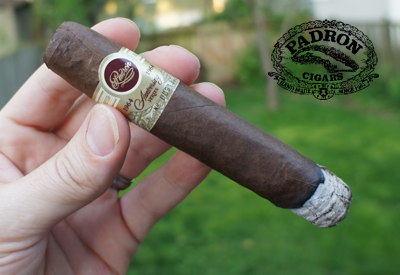 The Padron Anniversary1964 blend has never disappointed me in the past and I can 100% say this one did not either. 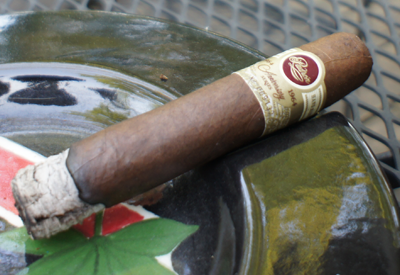 In fact, this blend in this shape/size could be my new favorite release of Padron Anniversary blends. 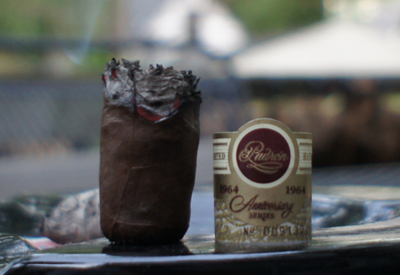 If you read my best of 2011 list back in December, you'll have seen that the Padron Anniversary1964 in the 6 x 60 size made my number three cigar of the year. I'm comfortable in saying that this one is even better -- a true flavor bomb of a cigar. Would I buy a box? Well worth it.